1. First of all, I would highly recommend that you use free-range eggs -- seriously, they taste so much better. 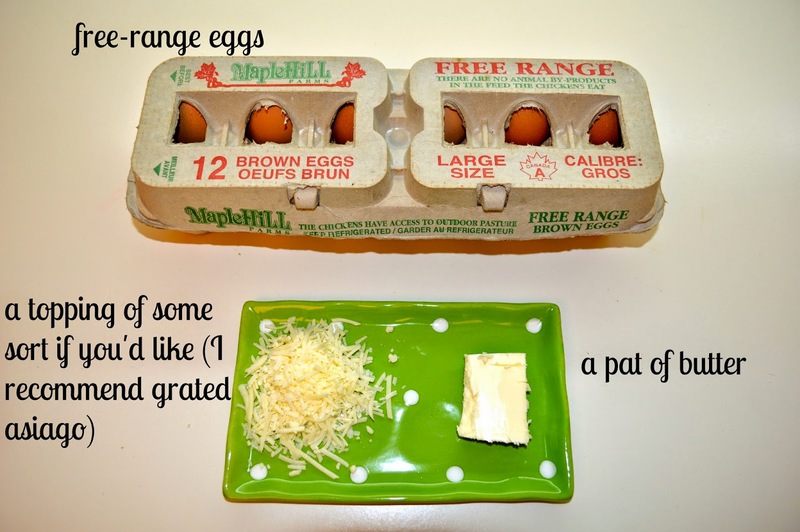 In terms of how many to use, I think 2 eggs per person is a reasonable amount if this is a main meal and you're hungry (as a side dish, 1 per person should be good). 2. Melt a pat of butter in a non-stick skillet pan on medium heat. While the butter is melting, beat the eggs vigorously, and for a bit longer than you think you should (this is key to having them turn out fluffy). You can use a whisk if you like but I find a fork is easier. 3. Once the butter starts bubbling, turn the heat down to low and pour the mixture in. 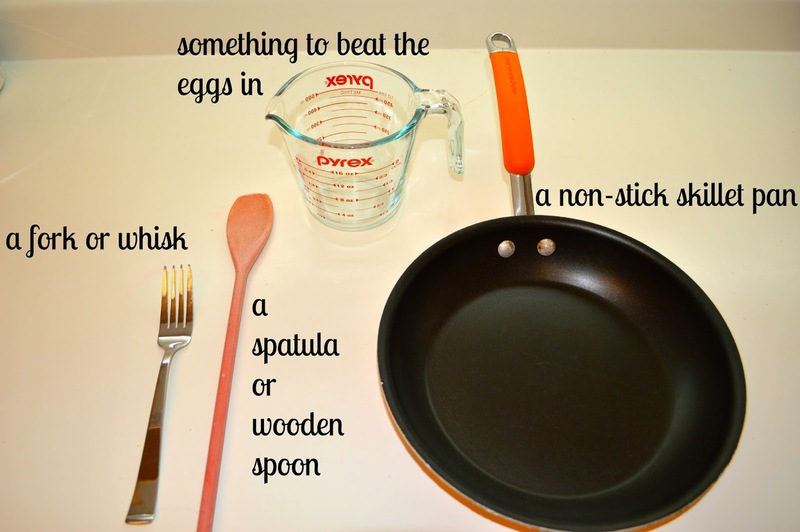 Be sure to stir and fold the eggs constantly with a wooden spoon or spatula. In the later stages of cooking, you can add some toppings for some extra flavour should you so desire (I tossed in some grated asiago, but you could also try scallions, chopped tomatoes, mushrooms, spinach...). Oh, and here's a tip: do NOT add milk/cream at any stage of the process -- it's an unnecessary ingredient that can make eggs turn out rubbery. 4. Now comes the tricky part: trying to decide when they're ready! As a rule of thumb, it's best to take the pan off the heat just when you think the eggs are nearly ready (they should still have a bit of a runny look to them), as they will keep cooking for a bit longer thanks to the residual heat in them. 5. And there you have it! A simple, tasty, and not-unhealthy meal in minutes. I like my scrambled eggs on buttered toast, preferably with a side of smoked salmon. Deeelicious!